That’s a good enough reason you should look after your pet’s health from Day 1. They need all the love and care they can get to live a better life. Taking responsibility for their pets’ wellbeing is a duty some pet owners tend to overlook. They think it is enough that they feed and provide shelter for their non-human friends. Obviously, such perceptions are wrong. Pets need regular vet visits, loving attention, quality time, and companionship. If these things seem too much for you to handle, then, you are not fit to own a pet. So let us first discuss the basics. Your pet’s health depends on various factors. There’s food, activity, and comfort. Pets require a nutritious and balanced diet. Whether you own a dog, cat, rabbit, guinea pig, turtle, or a boa constrictor, you must define what consists of a healthy diet for it. One of the many things you must avoid is to assume that human food is good enough for your pets. This is a common mistake that dog and cat owners are prone to make. That should not be the case. For all you know, you could be risking your pet’s health by simply slipping in a bite of a cookie to your pup just because you innocently think it’s a sweet treat. Pets also need regular exercise. They cannot be healthy if they have been slouching around in a corner for far too long. They need activity to keep their bodies strong and their minds sharp. If you have a budget to allot for it, you may enroll your pets in training. There are different classes made for dogs, from which they can learn to follow commands, socialize, and just release their stress altogether. To top it all off, you need to prepare a nice resting place for your pet to make sure they remain comfortable. You should not just get a cage or an aquarium or tank. You must provide your pet with the proper shelter where it can thrive and live happily. To determine what your pet requires and get all the answers for the “whys”, seek professional advice from a veterinarian. An expert on animal care will help clear your paths and lean you towards the right direction about how to take care of your pets properly. Get all the necessary information you need about your pet’s health requirements. Regular vet checks are critical to keep pets healthy. This is helpful not just when your pets are sick but also to maintain their overall wellness. Pets are not like humans. They cannot speak about how ill they might feel or what they need at the moment. That’s why it is important that you tag along with someone who knows the tricks on a scientific standpoint. 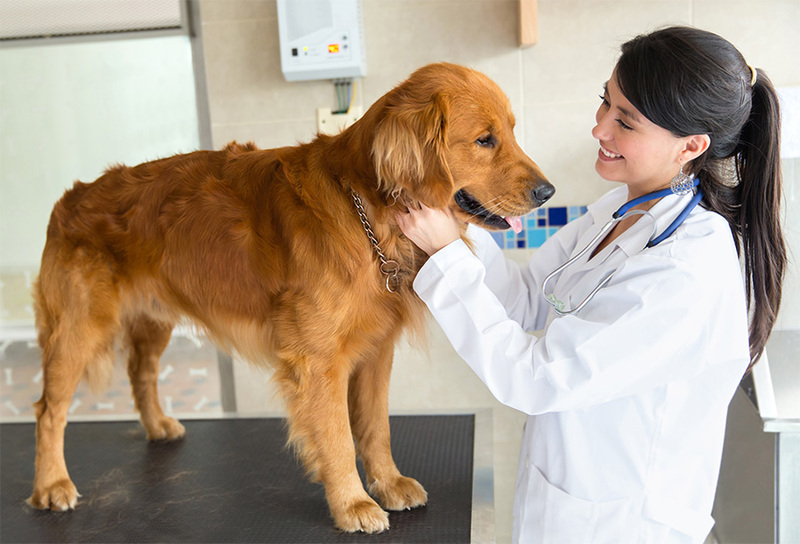 Vet visits are also useful for dental checks, flea treatments, and vaccination purposes. As much as you need to commit to an appointment with your veterinarian, you must also be mindful of getting in touch with the grooming experts from Petsmart. Grooming salons are very helpful in maintaining neat and cleanliness among pets of all sizes. They can even help prepare your beloved fur friends for extravagant events by performing nail trimming, fur brushing, extensive bathing, and adding temporary fur colors for a festive charm. Do you ever wonder why, even when you are able to supply the needs of your pets regularly, they still seem to be sluggish and unhappy? That may be because their emotional needs must be fulfilled, too. Happy pets are well-loved pets. They like company, they like bonding moments, they like spending quality time with you. Just how it is with kids, you cannot simply fulfill your duty of providing for them to be called yourself a responsible parent. You also need to be there physically to cuddle, kiss, and be touchy-feely. A significant aspect of pet care is playtime. Never miss an opportunity to strengthen the bond between you and your animal friend. It is also a great time to keep them stimulated and keep boredom out of sight. Pets may have entirely different needs from humans but in some ways, they are just like us. They need love and attention. They do not just need food to eat or a place to sleep. To live longer, they must remain happy and a good part of their happiness lies on how their pet parents treat them day-by-day. When you’re not sure if you are doing the right things or giving your pets the right things, you can always seek help from a vet. A professional on animal welfare can help you evaluate and diagnose your pet’s condition better.